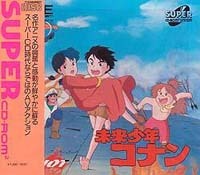 «©NCSX» 2-D platformer with anime cinemas that revolve around a boy who runs around in a loincloth. Game requires a Super-CD empowered PC-Engine console. New stock in excellent condition and original factory shrinkwrap.